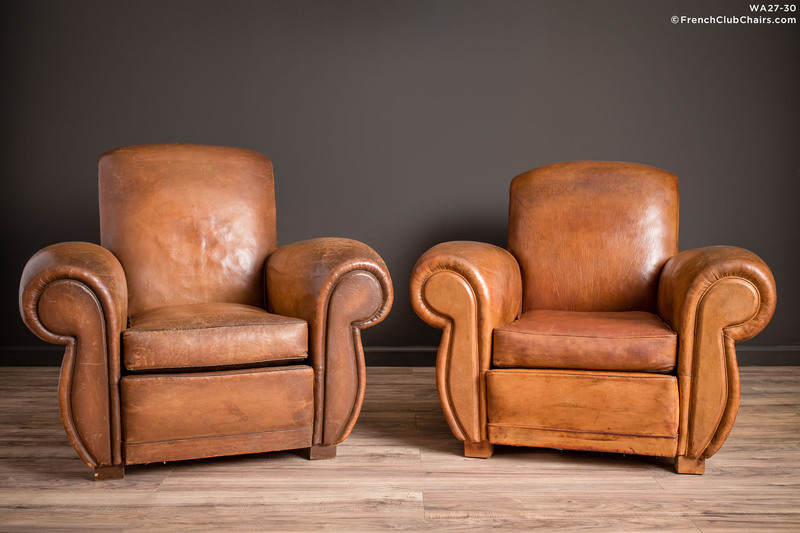 This pair of French leather club chairs fill up the space with their presence and style. They have a large comfortable seat and the all original leather in is very good overall condition. There is a slight color difference between the two chairs but the are definitely a pair. measurements: depth-38", width-40", height-33", seat depth-22", seat width-19", seat height-16"